Dinsmores 10ft (3m) Mono Mesh Commercial Carp XL Keepnet 20x16in. 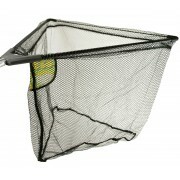 Quality mono mesh Carp Keepnet. With angle tilt top ring with built in rod rest. Pull through handles which help you release your catch at the end of your session, which also protects your catch from rolling through the total lengt..
Dinsmores Carp Match Lightweight Oval Landing Net 22in (55cm). Light weight tubular alloy frame with Soft Mesh, plastic block with alloy standard thread to fit all landing net handles. Soft Mesh Plastic with Alloy Threaded Block Rigid Tubular Alloy Frame. ..
Dinsmores Carp Match Lightweight Rigid Blue Anodised Alloy Oval Landing Net 18in (45cm). 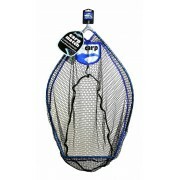 This soft fish friendly speci-mesh landing pan net is an ideal all round coarse fishing net for all types of waters. Light weight blue anodized tubular alloy frame with soft fish friendly speci-mesh, with ..
Dinsmores Scoop Match Landing Net 22" (56cm) Blue Alloy Frame Light weight, featuring a noncorrosive Blue Alloy frame, the unique scoop frame design allows the net to be rested on the bump bar whilst providing easy landing of the fish. Hosting a Fish Friendly soft Hex Mesh, the net comes equip..
Dinsmores Carp Match Lightweight Rigid Blue Anodised Alloy Oval Landing Net 22in (56cm). 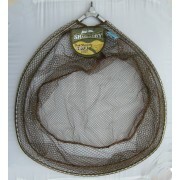 This soft fish friendly speci-mesh landing pan net is an ideal all round coarse fishing net for all types of waters. Light weight blue anodized tubular alloy frame with soft fish friendly speci-mesh, with ..
Dinsmores Carp Match Lightweight Rigid Blue Anodised Alloy Oval Landing Net 24in (60cm). 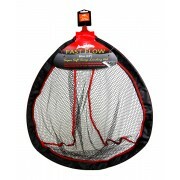 This soft fish friendly speci-mesh landing pan net is an ideal all round coarse fishing net for all types of waters. Light weight blue anodized tubular alloy frame with soft fish friendly speci-mesh, with ..
Dinsmores Duo Carp & Silver Fish Commercial Fishery 2 Keepnet Pack & Bag & Zipped Bag This Pack Contains 2 Keepnets and Keepnet Bag Ideal for Commercial Fisheries. 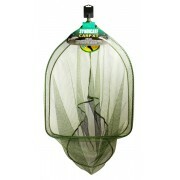 Includes: 1 x Quality Mono Mesh Carp 10ft Keepnet. 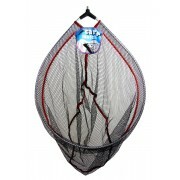 Features: Adjustable angle Threaded Top Ring fits all banksticks..
Dinsmores Folding Triangular Fishing Landing Nets with Net Bag 18in These Folding Landing nets have dual mesh the one at the side are a larger mesh which removes water quickly while the base is a smaller mesh designed to protect your catch. The solid fibreglass arms are capable of landing any ..
Dinsmores Hybrid F1 & F2 Carp Hair Match Fishing Landing Net Heads 18in (45cm). 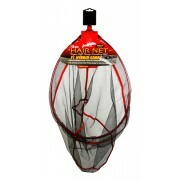 This Ultra soft Mosquito mesh landing net is perfect for fishing with Hair rigs, with scoop design for easy fish removal. Light weight ruby red anodized tubular alloy frame with Ultra Soft Black Mosquito Mesh w..
Dinsmores Hybrid F1 Carp Hair Match Fishing Landing Net Heads 22in (56cm). 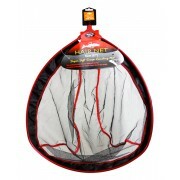 This Ultra soft Mosquito mesh landing net is perfect for fishing with Hair rigs, with scoop design for easy fish removal. Light weight ruby red anodized tubular alloy frame with Ultra Soft Black Mosquito Mesh with red t..
Dinsmores Rectangular Free Flo Green 50x40cm Keepnet 10ft Rectangular 50x40cm (20x16in) keepnet with built in rod rest on top ring, angle-tilt head with standard thread to fit all banksticks. 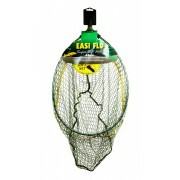 ..
Dinsmores Rigid Oval Easi-Flo Super Soft Green Mesh Landing Net 18in Light weight green anodised tubular alloy frame with Super Soft Green Mesh, solid diecast block with standard thread to fit all landing net handles. ..
Dinsmores Rigid Oval Easi-Flo Super Soft Green Mesh Landing Net 22in Light weight green anodised tubular alloy frame with Super Soft Green Mesh, solid diecast block with standard thread to fit all landing net handles. ..
Dinsmores Rigid Oval Easi-Flo Super Soft Green Mesh Landing Net 24in Light weight green anodised tubular alloy frame with Super Soft Green Mesh, solid diecast block with standard thread to fit all landing net handles. ..
Dinsmores Rigid Oval Easi-Flo Super Soft Green Mesh Landing Net 26in Light weight green anodised tubular alloy frame with Super Soft Green Mesh, solid diecast block with standard thread to fit all landing net handles. ..
Dinsmores Shake-N-Dry 3m Mesh Keepnet. 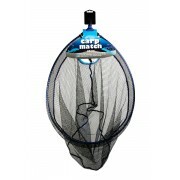 - New polyester soft netting - Water Repellent - Fish Friendly - Carp Sack Mesh on Bottom rings. - No Smell - Multi-angle top ring fitsall Banksticks. 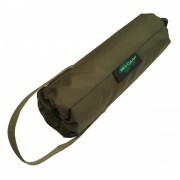 - 50x40cm ..
Dinsmores Shake-N-Dry Rigid Green Anodised Tubular Alloy Frame Soft Hex Mesh Landing Net 20" (50cm) Light weight green anodized tubular alloy frame with Super Soft Green Hex Mesh, block with standard Brass thread to fit all landing net handles. Features: Shake-N-Dry HexMesh Soft Mesh Q..
Dinsmores Shake-N-Dry Rigid Green Anodised Tubular Alloy Frame Soft Hex Mesh Landing Net 24" (60cm) Light weight green anodized tubular alloy frame with Super Soft Green Hex Mesh, block with standard Brass thread to fit all landing net handles. Features: Shake-N-Dry HexMesh Soft Mesh Q..
Dinsmores Shake-N-Dry Rigid Green Anodised Tubular Alloy Frame Soft Hex Mesh Landing Net 26" (66cm) Light weight green anodized tubular alloy frame with Super Soft Green Hex Mesh, block with standard Brass thread to fit all landing net handles. Features: Shake-N-Dry HexMesh Soft Mesh Q..
Dinsmores Shake-N-Dry Rigid Green Anodised Tubular Alloy Frame Soft Hex Mesh Landing Net 30" (75cm) Light weight green anodized tubular alloy frame with Super Soft Green Hex Mesh, block with standard Brass thread to fit all landing net handles. Features: Shake-N-Dry HexMesh Soft Mesh Q..
Dinsmores Super Soft Scoop Fast Flow Mesh Landing Net 22" (55cm) "NEW CURTAIN" Design Frame. This brand new landing net from Dinsmores has been designed with the Match Angler in mind packed with features and the with the specially designed net shape that aids both landing and unhooking your fish ..
Dinsmores Super Soft Scoop Hair Net Mesh Landing Net 22" (55cm) "NEW CURTAIN" Design Frame This brand new landing net from Dinsmores has been designed with the Match Angler in mind packed with features and the with the specially designed net shape that aids both landing and unhooking your fish sa..
Dinsmores Syndicate Carp XT Rigid Super Soft Green Mesh Landing Net 20" (50cm). Light weight green anodized tubular alloy frame with Super Soft Green Hex Mesh, block with standard Brass thread to fit all landing net handles. Features: HexMesh Super Soft Green Mesh Quality Brass Threade..
Dinsmores Syndicate Carp XT Rigid Super Soft Green Mesh Landing Net 26" (66cm). Light weight green anodized tubular alloy frame with Super Soft Green Hex Mesh, NEW Chrome block with standard Brass thread to fit all landing net handles. 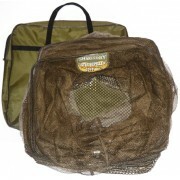 Features: HexMesh Super Soft Green Mesh Quality Brass Th..
Dinsmores Zipped Keepnet bag Take upto 2 Keepnets + Outer Net Pocket - Black. Designed to take upto 2 Fishing keepnets with Zipped top and carry handle an removable shoulder strap. Outer open pocket to store your landing net. Size 55x47x9cm. 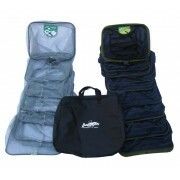 ..
Dinsmores Zipped Keepnet bag Take upto 2 Keepnets + Outer Net Pocket - Green. 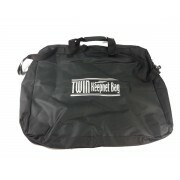 Designed to take upto 2 Fishing keepnets with Zipped top and carry handle an removable shoulder strap. Outer open pocket to store your landing net. Size 55x47x9cm. 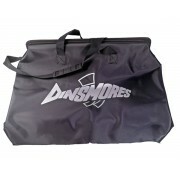 ..
Dinsmores Zipped Black Double EVA Keepnet/Stink bag with Shoulder & Hand Strap. 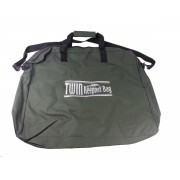 Designed to take upto 2 Fishing keepnets with Zipped top and carry handle an removable shoulder strap. 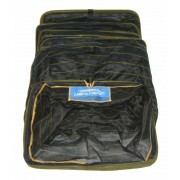 EVA stink bags is designed to keep the wet and smell out of your car/garage or shed. Completely waterproof,..
Dinsmores Zipped Keepnet bag Take upto 2 Keepnets + Outer Net Pocket - Black. 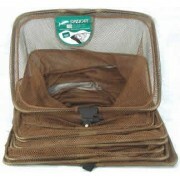 Designed to take upto 2 keepnets with Zipped top and carry handle. Size 50x50x10cm. ..
MDI Carp Landing Net Float for Fishing Landing Net Handle 6.5cm (Dia) x 22cm. Simply unscrew the block or landing net and fit the Net Float onto the handle. Replace block or landing net and secure by using the velco strap. If your landing net does not have a detachable block just slide the Net Sa..
MDI Diecast Replacement Spreader Block for Fishing Landing Nets Upto 10mm Diameter. 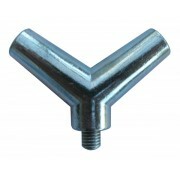 Strong Diecast Spreader Block suitable for frames upto 10mm in diameter, standard thread to fit all landing net handles. Secure by gluing and/or use self taping screws in holes provided (not supplied). Feature..